Peruvanam Mahadeva Temple is located in Thrissur district, Kerala State, South India. 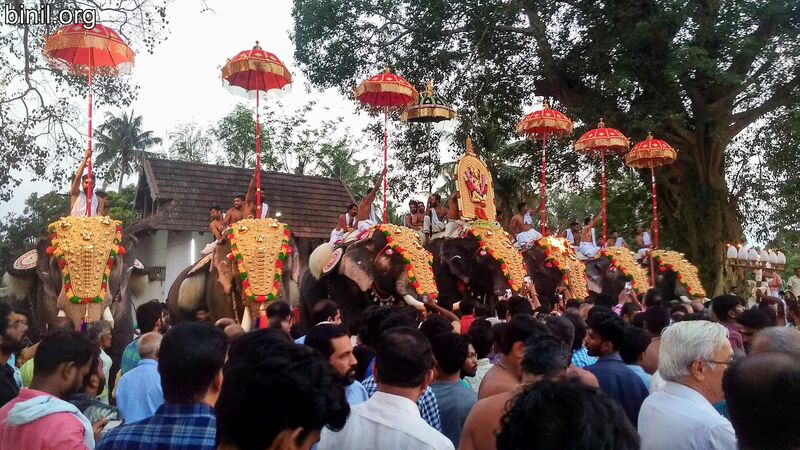 Its around 10 kms away from Thrissur town, on the way towards Kodungallur. 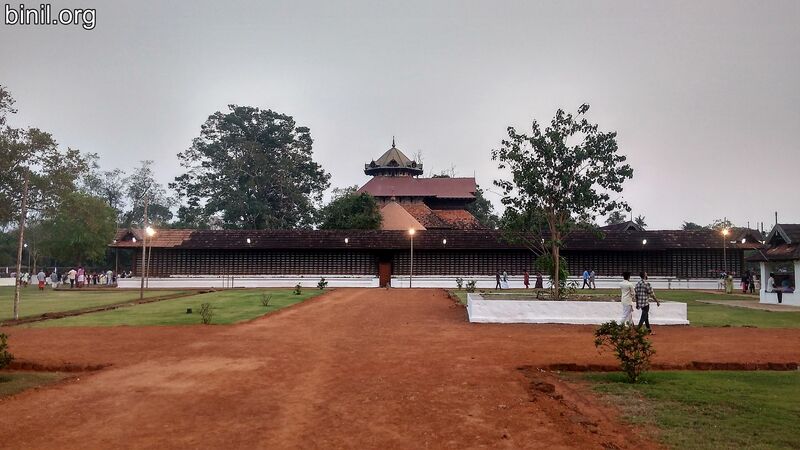 Peruvanam Mahadeva Temple is dedicated to Lord Shiva stands in 7 acre ground surrounded by a tall wall. 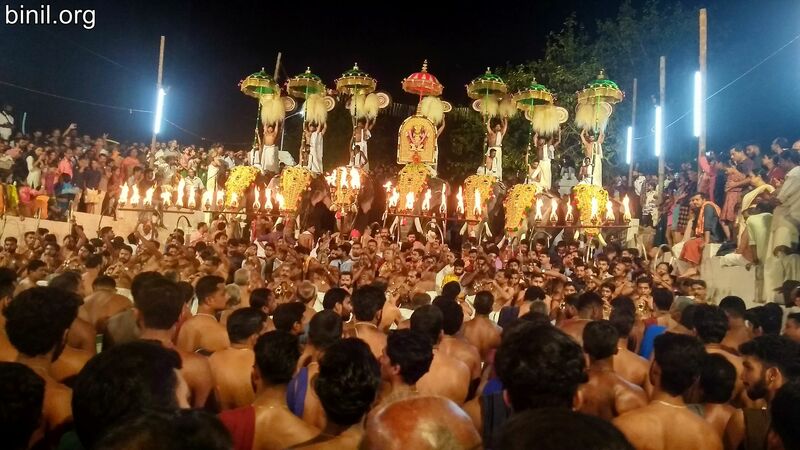 Its also known as Peruvanam Shiva Kshethram. Its an ancient Shiva temple which dates back to 1500 years of history. Its currently protected and preserved by the Archaeological Survey of India (ASI) due to its Structural and Sculptural significance. 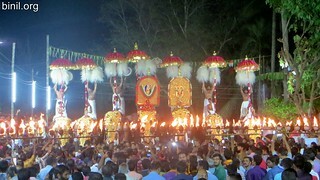 No photography is allowed from within the premises of this temple except on the special occasion of Peruvanam Pooram where its relaxed and everybody can take photos except inside the inner sanctum. 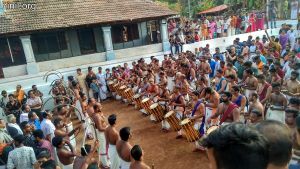 Peruvanam Mahadeva Temple is famous for its Pandi and Panchari melams during the pooram – The Peruvanam Nadavazhi on the east forms an ideal venue providing one of the finest acoustics and natural theater to listen to the melams. 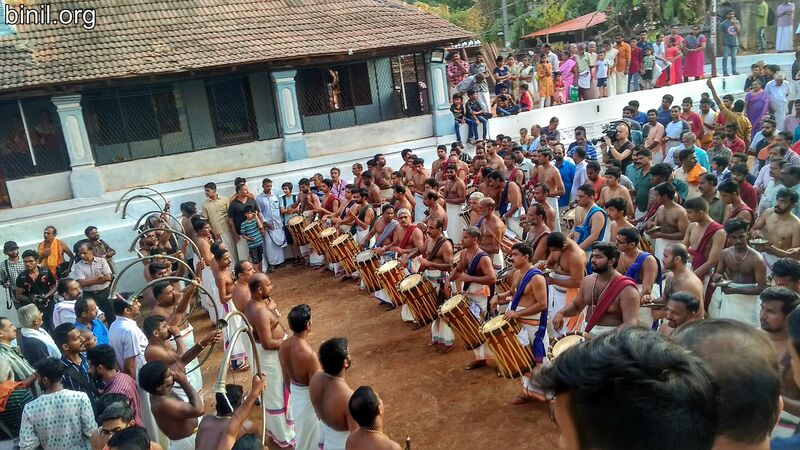 Legend has it that the Saint Parashurama established 64 Gramams or sections after reclaiming Kerala from sea and Peruvanam Gramam (or village) is the 1st and most important among them. 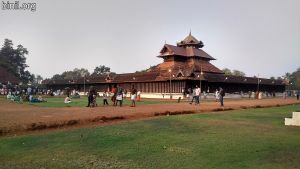 It is said that the temple was created by ‘Pooru Maharshi’, the son of the Hasthinapura King Yayathy after propitiating the Load Shiva with rigorous penance and the name of the place derived from the word “POORU VANAM”. Further it is believed that while transporting a beautiful, big Shivalinga received from a lake near Badarinath to this place, it happened to stuck in the branch of a tree and the present Madathilappan Temple has been constructed at this place. Shiva in dual linga form is the main feature of the temple and Lord is called “IRATTAYAPPAN” which denote the duality. The Sricovil of Madathilappan is considered to be the tallest Sricovil in South India. Four Sastha temples at Akmala, Kuthiran, Edathiruthy and Oozath are located on the boundaries of Peruvanam Gramam and Thiruvullakkavu Sastha Temple is located at the centre of the Gramam. 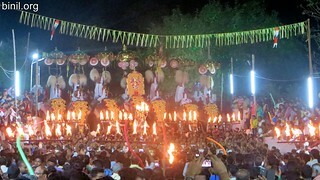 Irattayappan is the ‘Gramadhipathi’ and Thiruvullakkavu Sastha is considered the ‘Gramaraskhakan’. 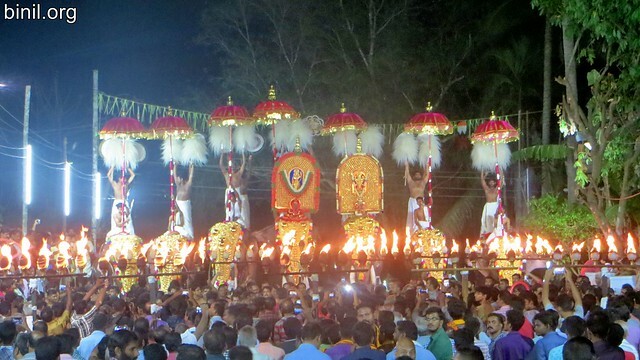 Now the temple is under the joint administration of Cochin Devaswom Board and Travancore Devaswom Board. There is a vast area of land and an office called ‘Cherikalam’ are existed near the south ‘Gopuram’ of this temple. 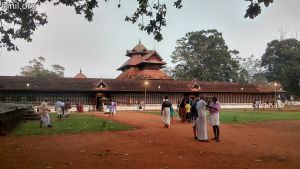 It is important and rare that the Maharaja of Travancore had interest in this temple and therefore, the expenses for ‘Utcha Pooja’, ‘Prodhosha Nivedhyam’, ‘Nira Puthiri’, ‘Koothu’ are borne by him. It still continues. There are two approaches to the inner courtyard (Chuttampalam) of the Peruvanam temple, from the west and east sides. The main entrance is from the east. 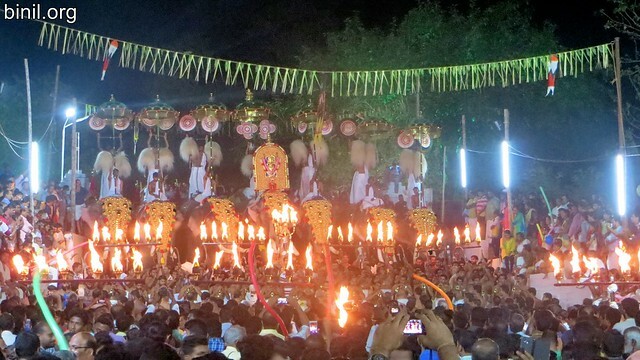 As you enter from the east you are facing Sree parvathy, the Goddess who is the consort of Irattayappan. You may start the Darshanam there, but, have to come back later. 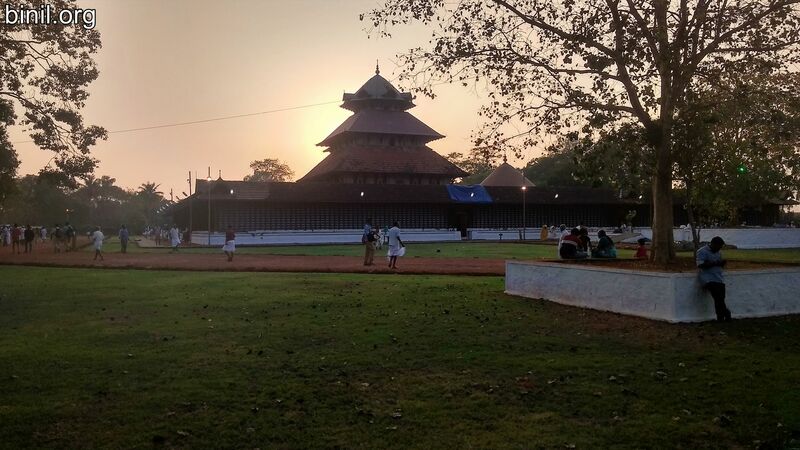 There you are in front of a large circular sanctum sanctorum (Sreekovil) of Irattayappan facing west. 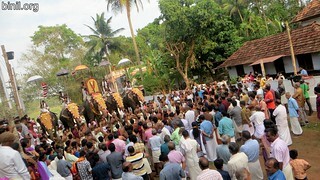 It is the custom to start the worship with Irattayappan. Next, you go behind in an anticlockwise direction (Apradakshinam) and pray to Sreeparvathy facing east. There is a taboo all over Kerala in crossing the imaginary ray (Soma Rekha) emanating from Siva and going north. Hence, one does not make a complete perambulation in the inner courtyard of Siva temples. 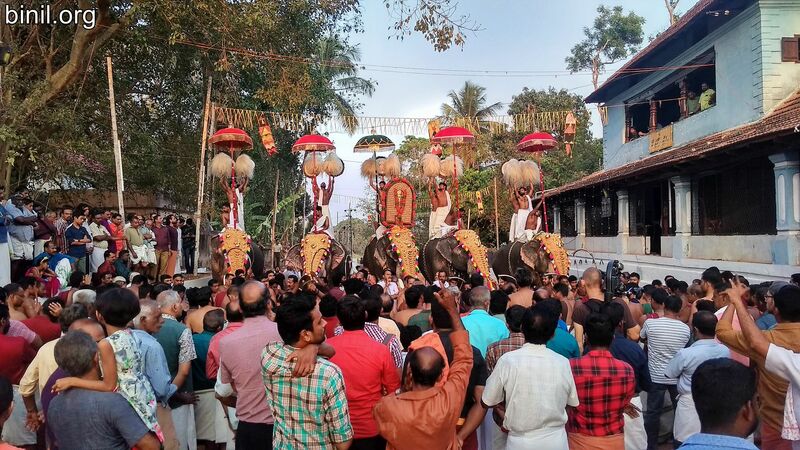 Most devotees at the temple go round the Bilva tree to the north and return clockwise to the south side where there is a shrine of Ganapathy and Dakshinamoorthy. You, then, go back to the west and worship Irattayappan once again. 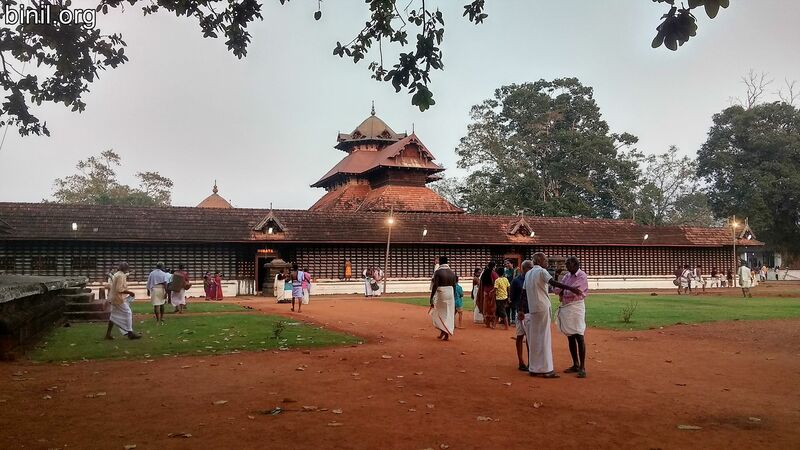 There is an independent, large, Sreekovil of another Siva, the Matatthilappan, on the south. 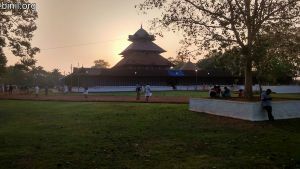 It is a three stored structure and you reach the shrine of Matatthilappan after ascending a flight of over twenty steps. You will find a huge Sivalinga at the back of a large Mukhamandapam (hall). 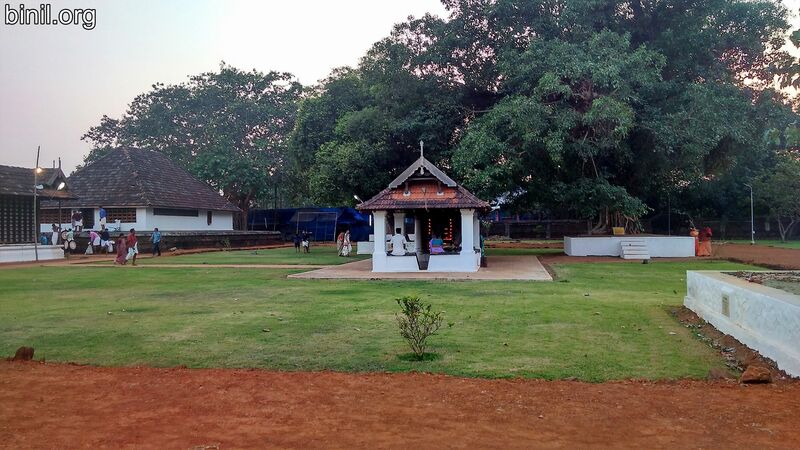 It is believed that the Sivalingam worshipped by sage Puru for long years is beneath that. The sage, himself, has been enshrined to the south west corner of the inner courtyard (Chuttampalam). 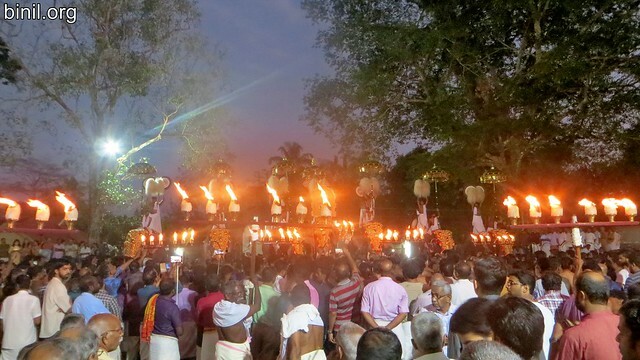 After getting down the stairs of Matatthilappan you pay obeisance to the sage. If you keep to the western border of the courtyard and walk to the north you reach the shrine of another Ganapathy, with his trunk twisted right. You pray to him for the ultimate goal in human life, for salvation and turn to the north side. There you get to the front of the last of the shrines inside the inner courtyard. 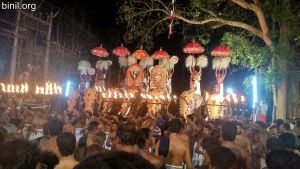 Two deities are housed there, Raktheswary and Manikantha. The former is a form of Bhadrakali and the latter a form of Lord Siva. 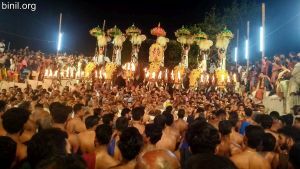 You must worship Irattayappan once again before coming out of the inner courtyard, through the same entrance you got in. There is a shrine, of Gosalakrishna, outside the main structure (Chuttampalam) of Irattayappan on the north side. This is Lord Krishna in the company of his dear cattle. You go in a clockwise fashion to worship Lord Krishna. 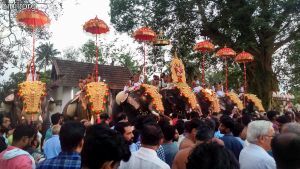 Here are some of the pictures of this historic temple and the pooram in 2018.